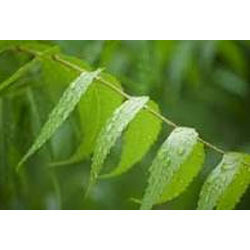 Prominent & Leading Exporter from Ahmedabad, we offer neem leaf extract. Being a customer focused organization, we are engaged in manufacturing, supplying and exporting a comprehensive range of Neem Leaf Extract. These products therapeutically used as a folk medicine in order to control leprosy, intestinal helminthiasis, respiratory disorders, constipation and also as a general health promoter. Our range is also used for the treatment of rheumatism, chronic syphilitic sores and indolent ulcer. Further, this range is ideal to control various skin infections, biliary afflictions, itching, skin ulcers, burning sensations and phthisis. Packaging Details: HDPE Carboys/Barrel or As Per Buyer Requirements. Looking for Neem Leaf Extract ?